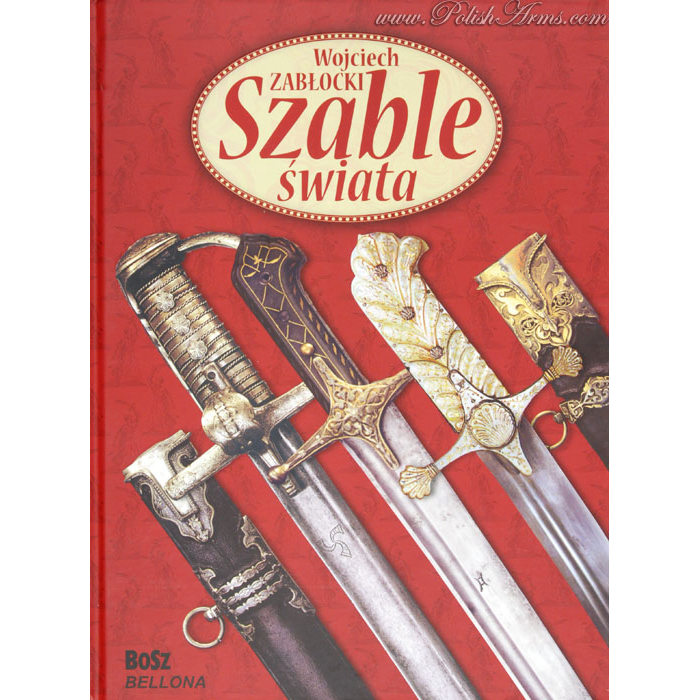 This is one of the most famous books about sabres in Poland in its first edition. 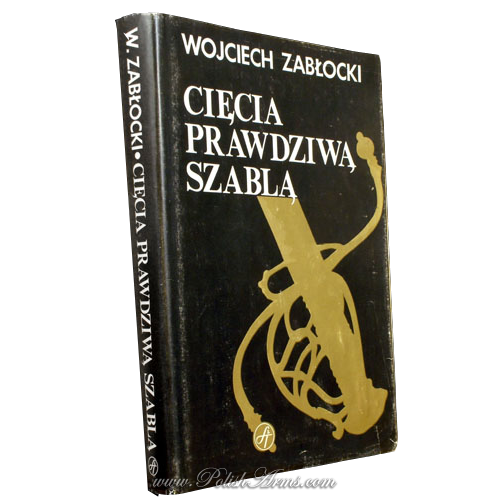 The Author, Wojciech Zablocki, was few times olympic medalist and a world champion in fencing. 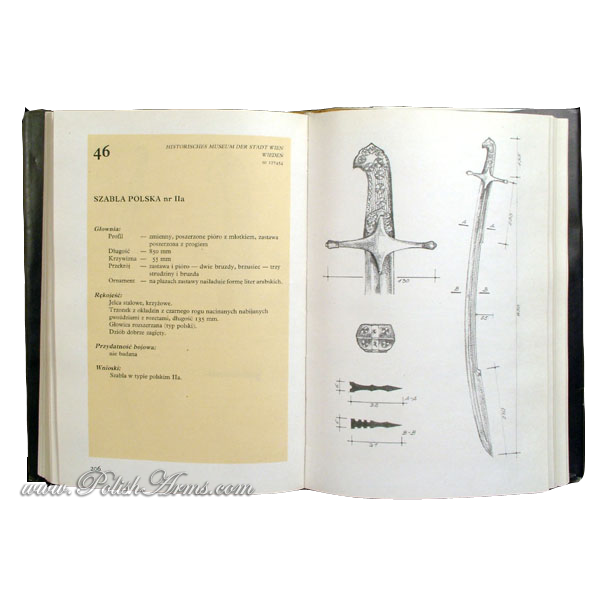 The book contains descriptions of over 100 different sabres from Polish and European Museums and private collections. 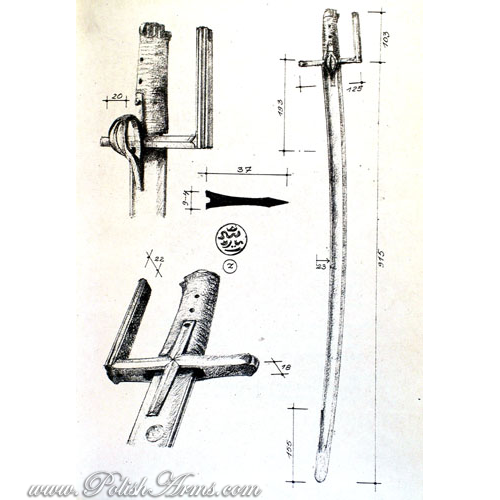 Each sabre is sketched with lot of details and measurements which will please even the most inquiring arms lover. 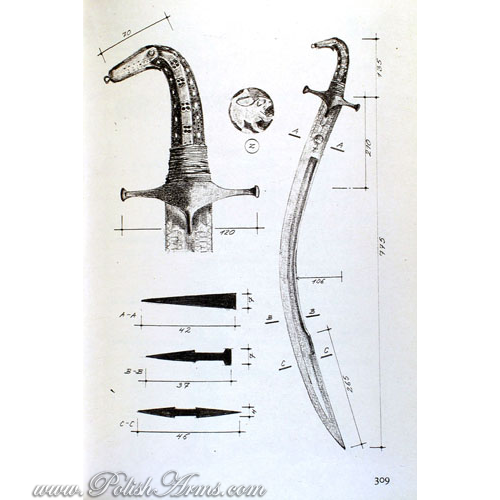 Description, albeit in Polish, gives very detailed information on construction, blade profile and the fight usefulness of the sabre. 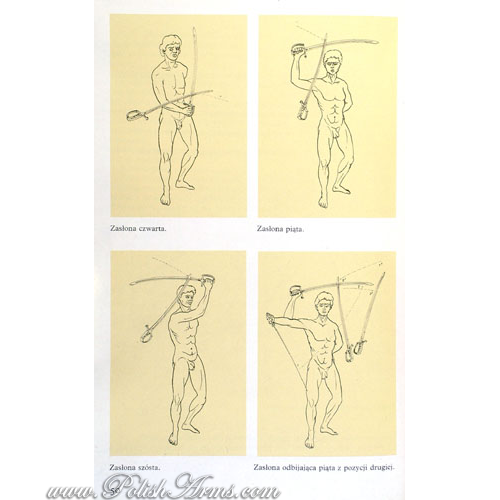 In few words, every weapon is technically reviewed by the fencing master. This is very rare point of view, while most of the scholars are focusing on art and construction without getting involved in real value of the sabres as weapons. 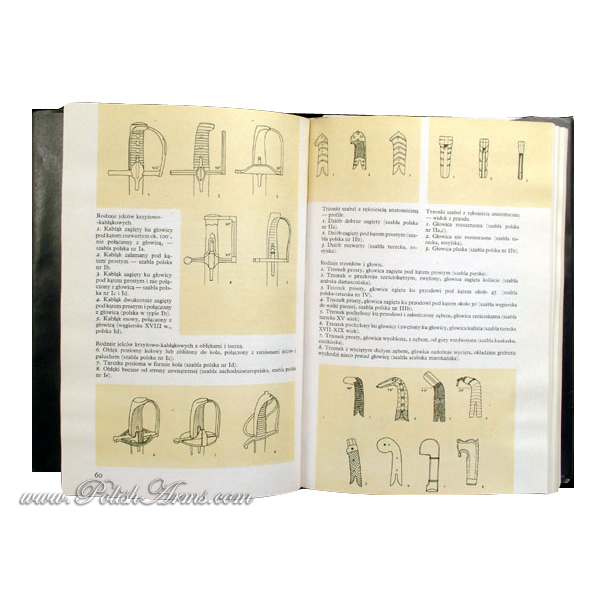 The book is complemented with English summary. Note: the book is Polish with English summary.